New anime series to finish the Hope's Peak Academy story. Spike Chunsoft debuted a new trailer for New Danganronpa V3: Everyone’s New Semester of Killing and announced the Danganronpa 3: The End of Hope’s Peak Academy anime during its Danganronpa Presentation Press Conference today. Due out for PlayStation 4 and PS Vita in 2016 in Japan, New Danganronpa V3‘s theme is “psycho cool.” A completely new chapter in the series, it is set in the “Gifted Inmates Academy.” Like games in the series before it, it will consist of exploration parts and Class Trials. During exploration parts, you’ll talk with various characters. And during Class Trials, you’ll use your own “lies” to defeat opponents. Scheduled to air in 2016, and as indicated by the title, Danganronpa 3: The End of Hope’s Peak Academy is an anime followup to Danganronpa: Trigger Happy Havoc and Danganronpa 2: Goodbye Despair. It will be the final chapter of the “Hope’s Peak Academy” series. 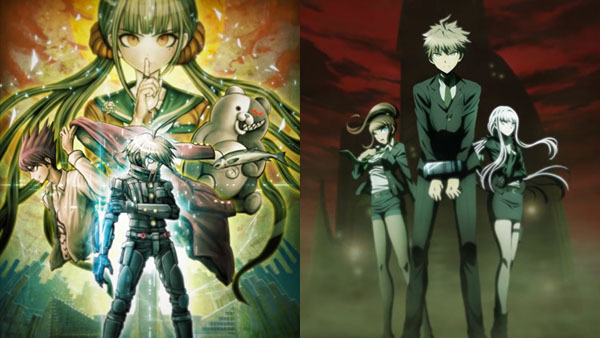 According to Danganronpa series creator Kazutaka Kodaka, it’ll feature content that can only be expressed through anime. Additionally, Spike Chunsoft announced volume four of its spin-off novel series Danganronpa Kirigiri (read about the other volumes here), and Comic Clear comic starring Danganronpa 2‘s Kazuichi Soda called Super Danganronpa 2: Kazuichi Soda in Desperate Causality. Visit the “Danganronpa 2016″ official website here.